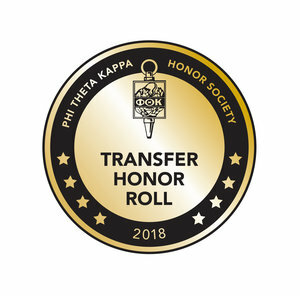 Wayne State University has been named to Phi Theta Kappa’s 2018 Transfer Honor Roll, which recognizes excellence and success in community college transfer pathway development. This is the second time Wayne State received the award, presented to only 112 institutions nationwide. The program is open to all regionally accredited baccalaureate degree-granting institutions and awardees are chosen based on scholarship and financial aid, admissions outreach, student support services and student engagement opportunities. PTK’s program reflects the growing importance of community college transfers and promoting and sharing best practices for transfer success. Universities that provide high-quality programs and services to community college transfers benefit from the rich perspective and diversity these students bring to the student body, and ultimately to the nation’s workforce. The WSU Transfer Student Success Center (TSSC) provides concierge service to transfer students – whether coming from a community college or transitioning from another four-year institution – who seek help navigating Wayne State’s system. Almost half of WSU’s new incoming undergrads each year are transfers, and the university works closely with partners such as Macomb Community College and Schoolcraft College to create innovative programs and articulation agreements to benefit students. “This award is a reflection of the university’s work with both current and prospective transfer students, as that was part of the award criteria,” said Doug Freed, director of the TSSC. “It is the efforts of many individuals and teams across the institution that ensures the success of our transfer students. WSU will be recognized April 19-21 at Phi Theta Kappa’s convention, PTK Catalyst 2018, in Kansas City, Mo. In addition, WSU, along with the other winners, will be featured in Phi Theta Kappa’s Partners in Excellence publication, which is distributed nationally to higher education leaders. The Wayne State University Transfer Student Success Center promotes the success of transfer students from initial interest through graduation. Follow us on Twitter @WSUTSSC or visit tssc.wayne.edu.